Belham Living Hollywood Glam Floor Mirror 19W x 60H in. 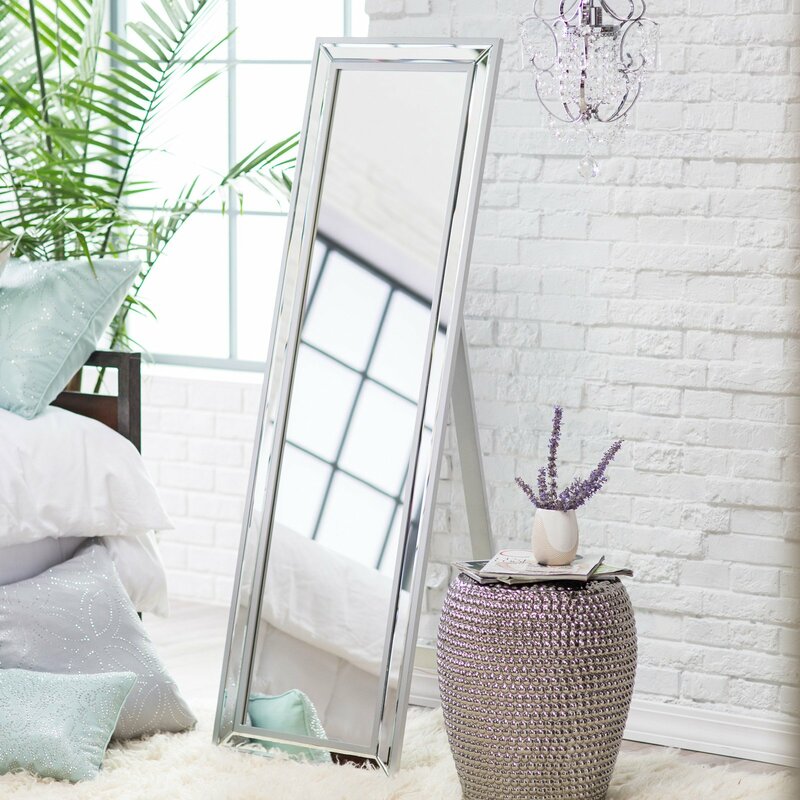 Feel extra glamorous when you get ready in the morning with the Belham Living Hollywood Glam Cheval Mirror. This rectangular mirror features an easel style stand with an elegant art deco vibe. A silver painted MDF wood frame adds the glam factor, while the beveled mirror has a mirrored border. This stunning piece is one you'll only find at Hayneedle. Overall dimensions: 19W x 2.5D x 60H in. Actually like the mirror but unfortunately it came broken. Hayneedle is sending another and hopefully it won't be broken as well. Home territory searches the web to find the best prices and availability on Mirrors and related products foir your home like Belham Living Hollywood Glam Floor Mirror 19W x 60H in.. For this page, related items include products we find that match the following keywords: "Mirror" at our vendor partner Walmart - Click More Info / Buy Now to check for price rollbacks!. Belham Living Hollywood Glam Floor Mirror 19W x 60H in. is one of 68 Mirrors and related products available for sale through HomeTerritory.com, If you have any questions on this product, please give us a call at 734-971-1210 during the hours of 9am - 5pm EST for assistance. Thank you for shopping at Home Territory, the home furnishings superstore!